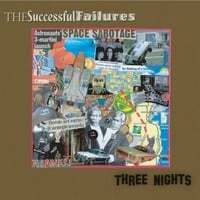 The Successful Failures-Three Nights. Exactly one year ago to the date, I wrote of the New Jersey power pop label FDR: "There's an 'FDR Sound': no-nonsense, straight-up, rock-oriented, garage-style powerpop that draws on bands like The Replacements and The Who". Well FDR's latest release is from the redoubtable Successful Failures, and it's emblematic of the "FDR sound". The Failures have always had a humorous edge (as their name itself implies) and we find it here on track titles like "Houston, We Have a Drinking Problem", "Armadillo Boy" and "Leave Me in the Coma". But they're not one-note jokesters; "Waiting for a Ride" does the quiet/loud thing quite nice and quite melodically, "College Scholarship Blues" and "Any Ol' Thing" find them in Americana mode, and "Sinkhole" is an engaging rocker. Fun and melodic, you can't ask for anything more from Three Nights. 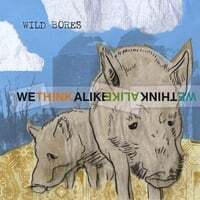 Wild Bores-We Think Alike. The Bores are back in town, as John Whildin remains prolific with two full-lengths and an EP under his belt in little over two years. While his previous releases were quite good, he takes a great leap here with an engaging, tuneful followup. Whildin knows how to open an album, as "In Front of Me" is a wonderfully catch track in the Wilco/Wallflowers vein. "I Still Think She's Mine", complete with horns and a quirky pop melody, recalls Warren Zanes, and "Same Routine" is bright pop. Elsewhere, "Sight of Gold" has a Del-Amitri-with-big-guitars feel, and "Sunshine Lady" is as languid and melodic as its title would indicate. If you like Heartland pop with a kick, well then I guess We Think Alike.